It was Ally MacLeod’s most famous quote. The date was that of the World Cup Final in Buenos Aires. MacLeod was nothing if not optimistic. 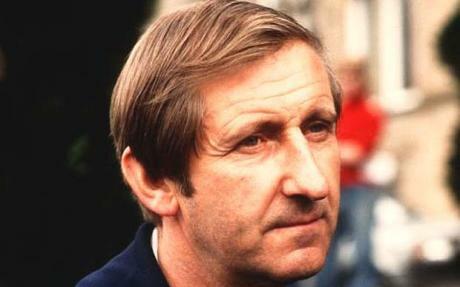 After successful stints at Ayr United and Aberdeen he was appointed Scotland manager in May 1977. He introduced himself to the squad by saying “My name is Ally MacLeod and I am a winner.” Within a few months he had beaten England at Wembley and he was to lead Scotland to qualification to the Argentina World Cup. The more rational of Scotland supporters had their doubts whether MacLeod’s team could win the World Cup. But MacLeod had a kind of buoyant enthusiasm that lifted people along with him. He really believed his team could bring back the trophy. True it was the most gifted Scotland squad in living memory, which included the likes of Kenny Dalglish, Alan Hansen, Joe Jordan, Graeme Souness and Archie Gemmill. Spirits were high before Scotland left for Argentina. Comedian Andy Cameron’s rendition of “Ally’s Tartan Army” reached number 6 in the UK singles chart and 25,000 people turned up at Hampden Park to see the squad parade around in an open-top bus. Prestwick airport was packed with well-wishers as they went to catch their plane. When asked what MacLeod would do after the World Cup, his answer was “Retain it”. Sadly MacLeod’s motivational powers were to prove not enough to help Scotland succeed. They lost their first match 3-1 to Peru, then drew 1-1 with Iran. Needing a victory by three clear goals against Holland they ahead 3-1 before the Dutch pulled a goal back. It finished 3-2 and Scotland were knocked out in the group stages on goal difference. Needless to say, MacLeod’s popularity rating immediately plummeted. He lasted one more game in charge before he resigned. Despite the final outcome MacLeod certainly lifted the spirits of the Scottish public and is remembered with affection by many. Gary Caldwell exudes positivity and a determination to succeed. He wisely qualified his ambitious statement at the recent Fan Forum with the proviso of “when I get the key players in”. Some fans are already saying that the young chairman is setting himself up to have egg on his face. But then again weren’t similar comments made about his grandfather when he said that Latics would be a Premier League club within ten years? Sharpe certainly cannot be accused of lacking ambition for the club, even if he can tend to stick his neck out too far at times. Having a young rookie chairman and a young rookie manager can be viewed as both a recipe for disaster and as a new broom coming in to herald a new era. However brash Caldwell and Sharpe might have been so far in their public statements to there can be no doubting the uplifting effect they have had on the club’s support. Wigan Athletic fans have had the most miserable past twelve months, during which there have been three managers and performances on the pitch that have beggared belief. The club seemed to be drifting, without clear direction. Perhaps the most shocking of all was in January when the club started to plan “just in case” relegation happened. The net result was thirteen players leaving and the resultant squad lacking in quality. David Sharpe took over as chairman in March, but the hapless Malky Mackay continued as manager despite an horrendous record of results. While Mackay was manager relegation was getting closer and closer. When Sharpe finally removed Mackay there were only five matches left and Caldwell could not work miracles with a weak squad. However, it was clear from Caldwell’s very first match in change that good football was returning to Wigan, if not the results, in what remained of the season. Caldwell will play possession football, but looking at his signings so far, one can see a combative edge will be present. The players signed up to this point have been bargain basement. However, there is already a sense that Caldwell’s vision will come to fruition. Latics have a considerable advantage over their competitors in the division through the parachute payments, highlighted by Sharpe’s assertion that their budget will be will be “five times higher than anyone else’s”. They are therefore able to offer salaries well above par for the division, attracting end of contract players looking for a better deal. The news that Latics have made a bid of £1m for Nadir Ciftci of Dundee United is no surprise in its magnitude. Sharpe had already stated that “I was brought up on Ellington and Roberts scoring every week. To have that you have to pay good money and I’m prepared to do that”. Latics will face competition from Celtic in securing Ciftci. The fact that they are in League 1 and Celtic are champions of the Scottish League is going to make it difficult to persuade the young Turkish player to come to Wigan. Can Latics offer a salary well beyond that of Celtic to induce the player to come? One doubts that. Transfer money will largely be spent on strikers, although there is a clear need for a creative midfielder who can provide the strike force with the right ammunition. Nicky Law of Rangers has been mentioned and he is a possibility. When Paul Jewell was at Latics he made the famous comment to the effect of “I can’t get anyone to come here”. Latics were the new kids on the block at the time and nobody knew how long they would be able to stay in the top echelons. Players were cautious about joining the club in those days. But times have changed. Together with Sheffield United, Latics are the “big clubs “of League 1. They can more than compete with the other clubs in the division for players. However, competing against clubs like Celtic and those in the Championship is going to be difficult, a “big sell “for Caldwell and his recruitment team. Both Sharpe and Caldwell are to be commended for their optimism and lifting the spirits of the fans. They have set themselves high targets. But there is a lesson to be learned from the past. Owen Coyle was appointed in the summer of 2013 with the brief of getting Latics back into the Premier League in a year. It proved too big a challenge. Working under the pressure of such an expectation would not have been easy for either him or his players. Sharpe and Caldwell and the new Latics squad will face a similar risk. Only time will tell if the young duo can deliver what they promise. Like the Scotland supporters in 1978, the Wigan Athletic fans’ spirits have been lifted. We can only hope that Sharpe and Caldwell will have more luck than MacLeod had in Argentina. Ally MacLeod sadly passed away in 2004, but there are still Scots who remember him with affection as the man who really believed in his country and the ability of its footballers. It takes courage to stick your neck out and you might well fail. But then again you can lift others through your belief and you can succeed. Sharpe and Caldwell are certainly not afraid to stick their necks out. Let’s hope things go better for them than MacLeod.